Dr. David Stewart grew up in Syracuse, New York, where he attended Cicero-North Syracuse High School. 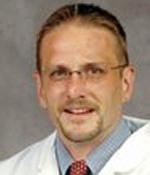 Dr. Stewart attended college at SUNY Brockport, where he graduated in 1990 with a Bachelor's Degree in Pre-Med. Dr. Stewart was inspired to become a podiatrist because of his will to help and treat others. Dr. Stewart is the proud father of his three children, Grace, Ruby, and Nathan. When not tending to his patients, Dr. Stewart enjoys activities such as running, coaching, and playing basketball.